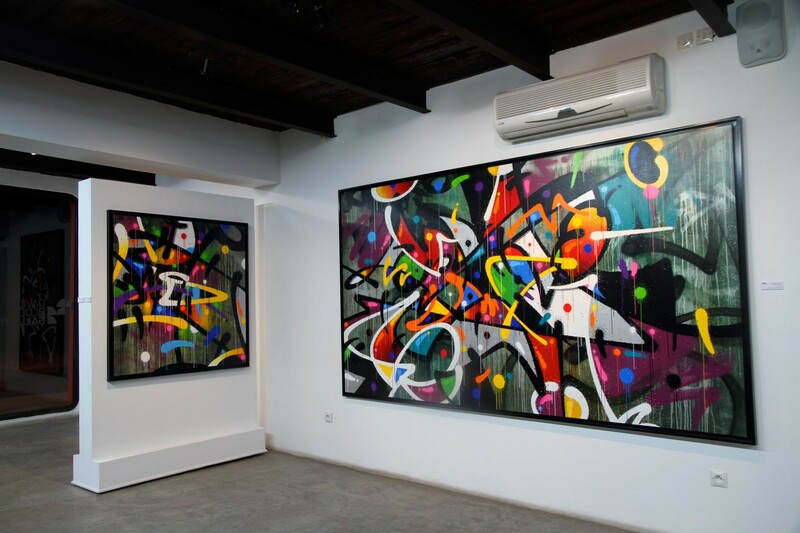 He quickly became one of the best tracers of graffiti lettering “wild style” in Europe – often accompanied by the characters of his acolyte at this time Steph Cop – he influenced a whole generation from which emerged what became the street art culture. 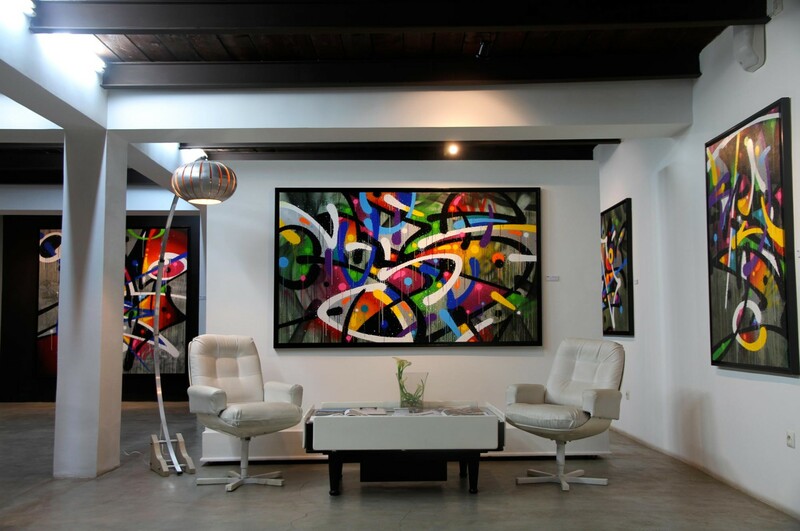 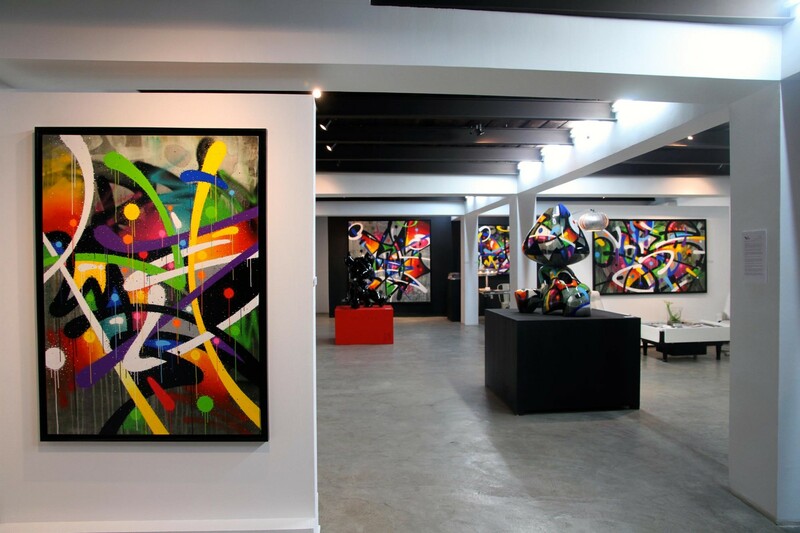 His style and his collaboration with artists like Tilt, Steph Cop, T.Kid, Bando … on many accomplishments raised him as an internationally recognized artist on the graffiti scene. 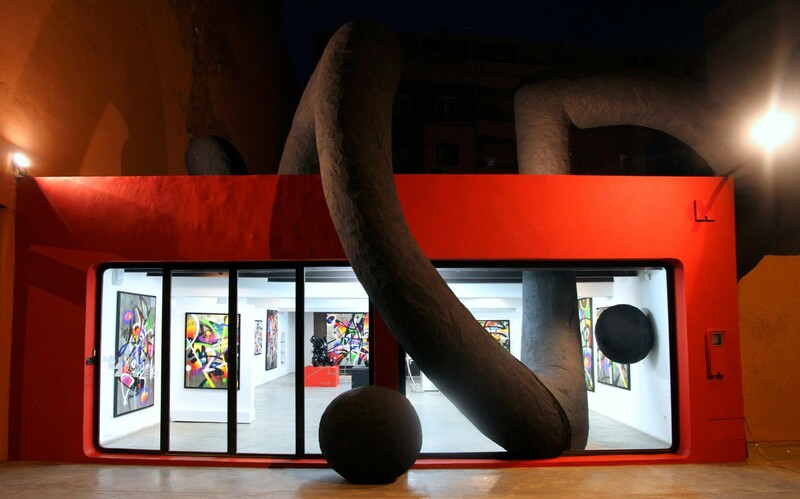 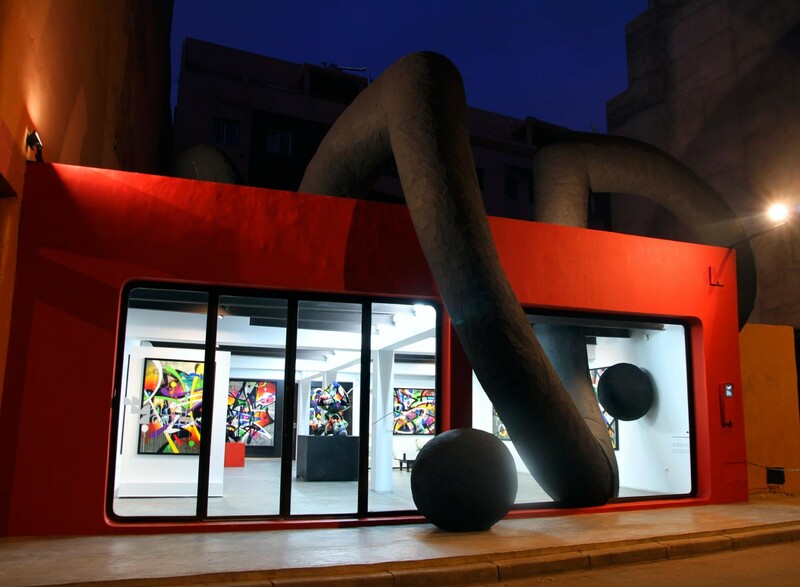 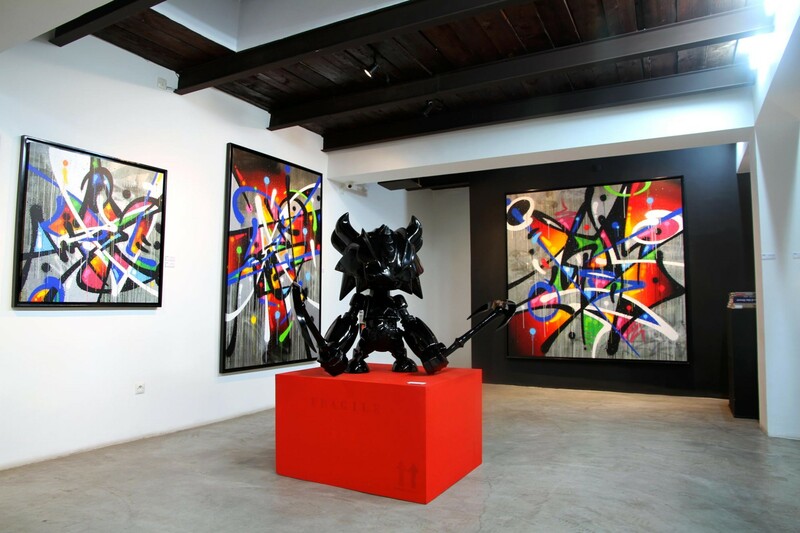 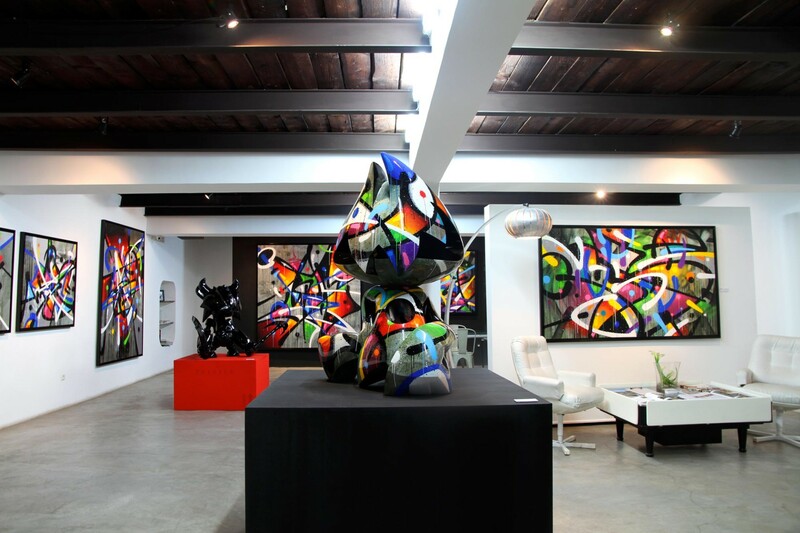 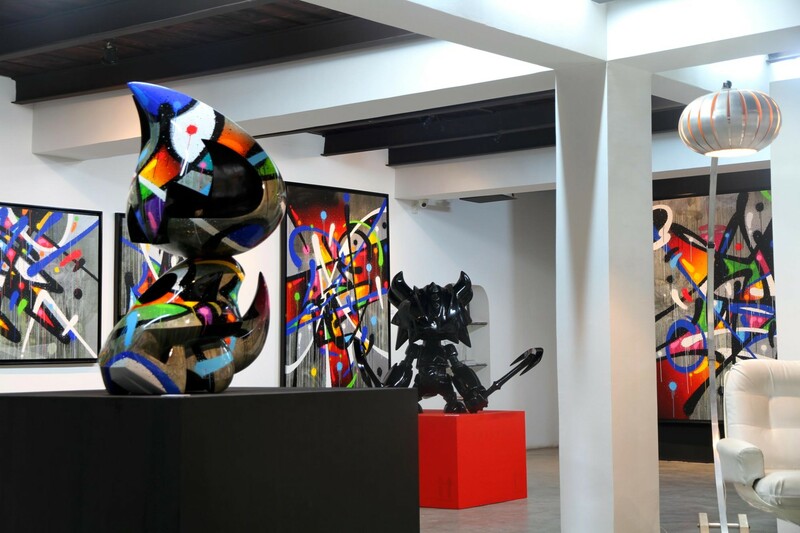 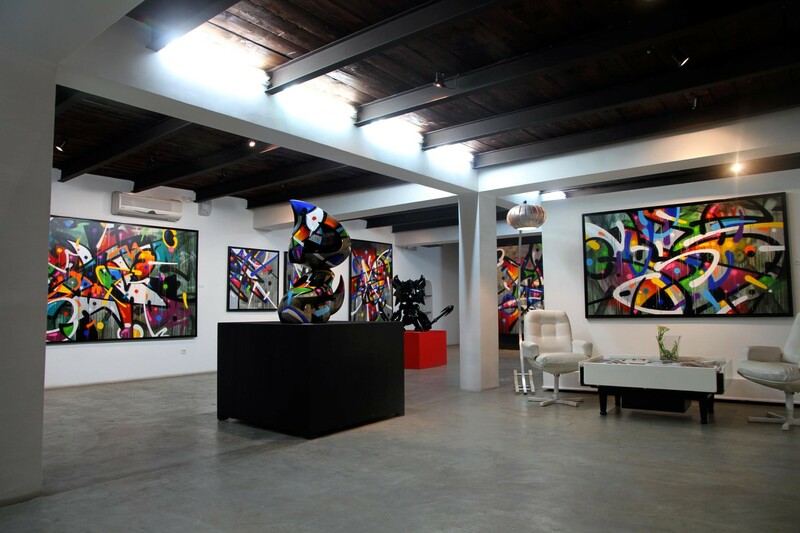 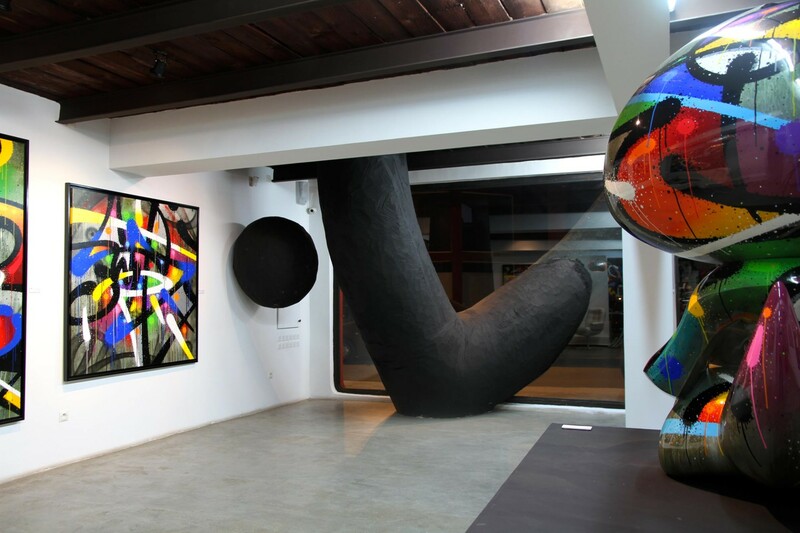 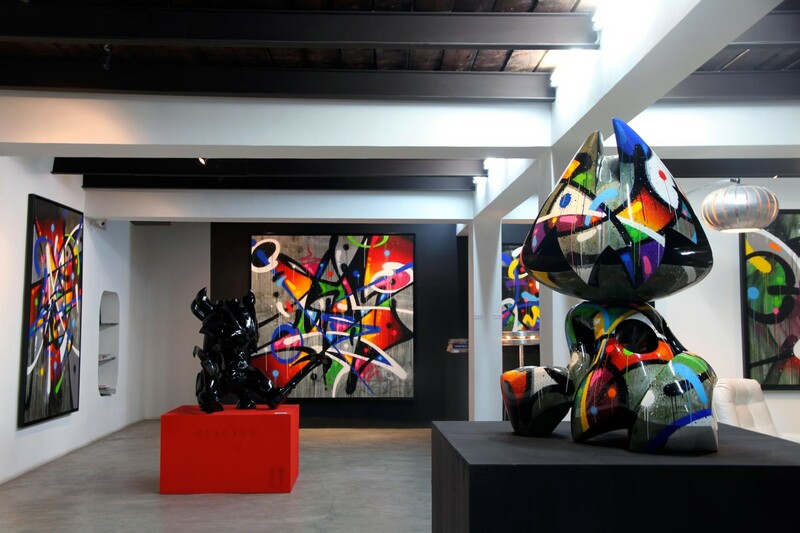 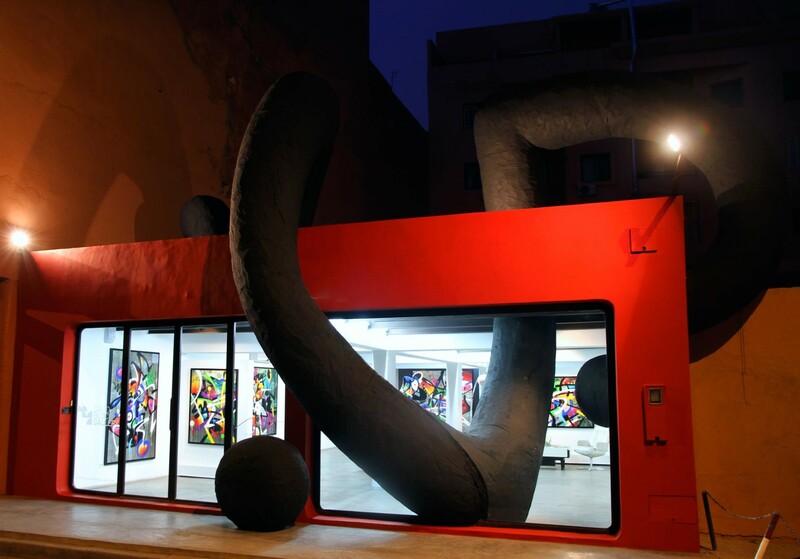 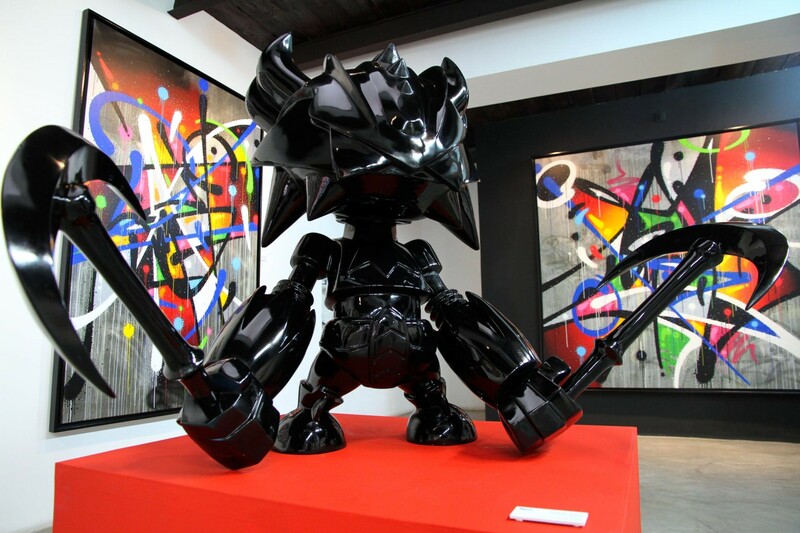 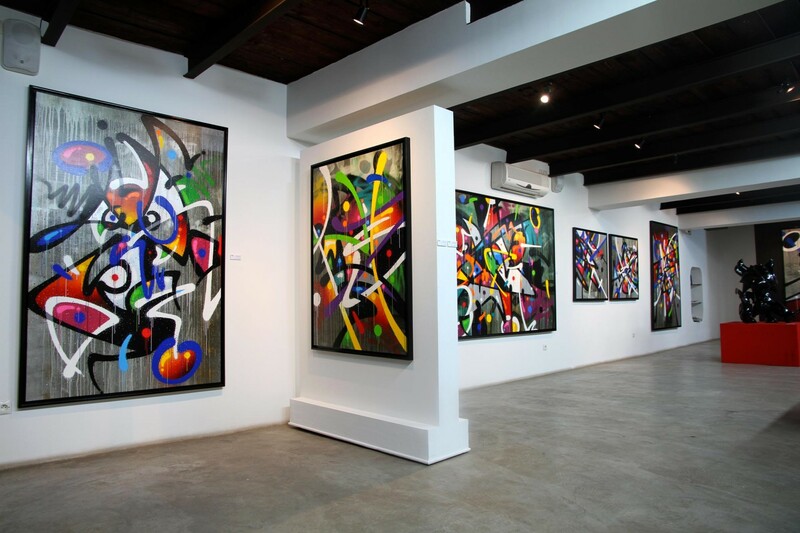 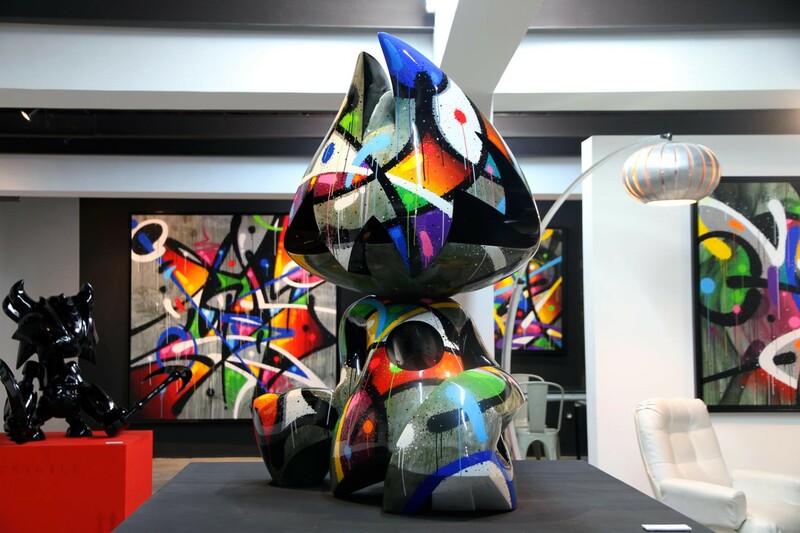 Specialists place him now in the top five worldwide with other artists like Kaws and Futura. 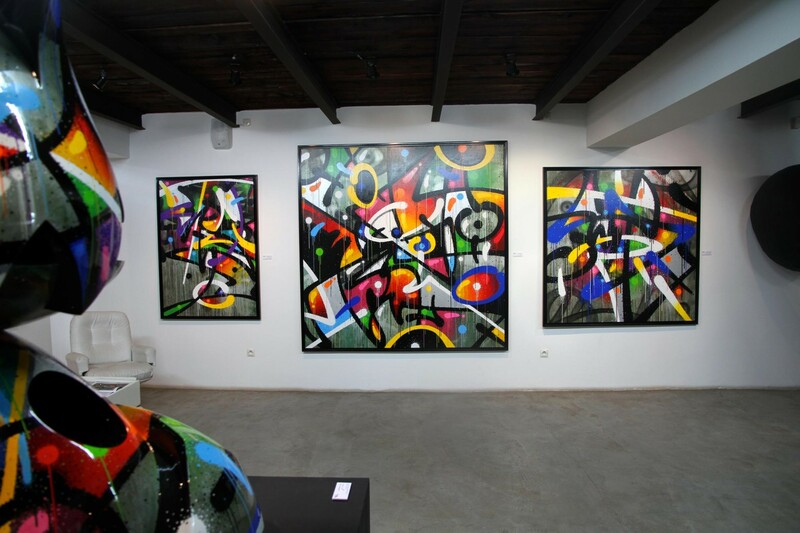 Now that the word street art do not anymore mean something – we become “streetartist” after doing the “beaux arts” or simply by using a spray can or techniques such as stencil – when only the result matters – we forget the path, the active or the legitimacy – the current painting of Mist is for those who know his history consistence and true. 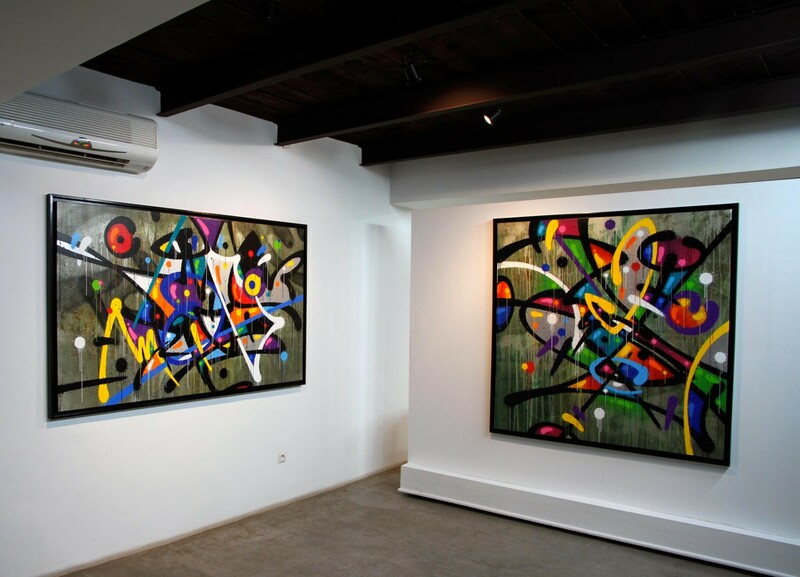 He works on calligraphy, on the gestural energy of the graffiti but also on the color intensity in the unique goal of “burning” the retinas. 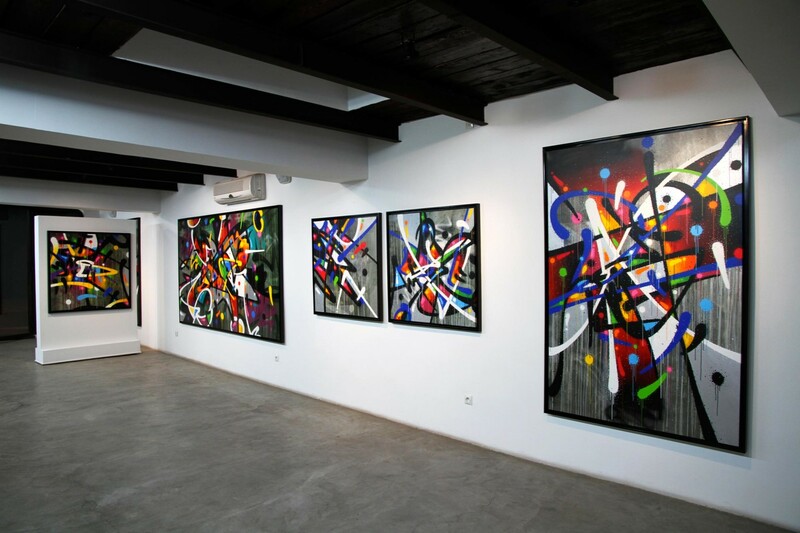 The construction lines and the contours of the letters are gone – he needed over 10 years of studio work – giving space to an abstraction that have an intact dynamism and spontaneity. 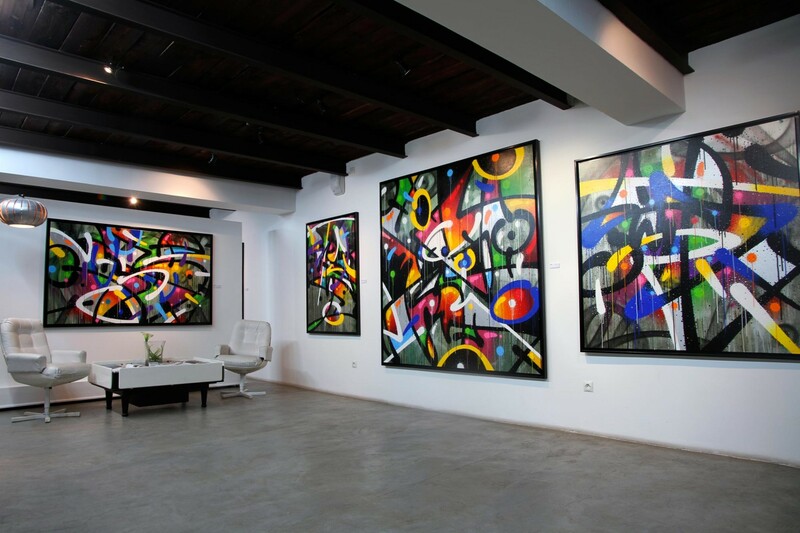 Its patinated backgrounds reflect the stigma of walls where he used to practice. 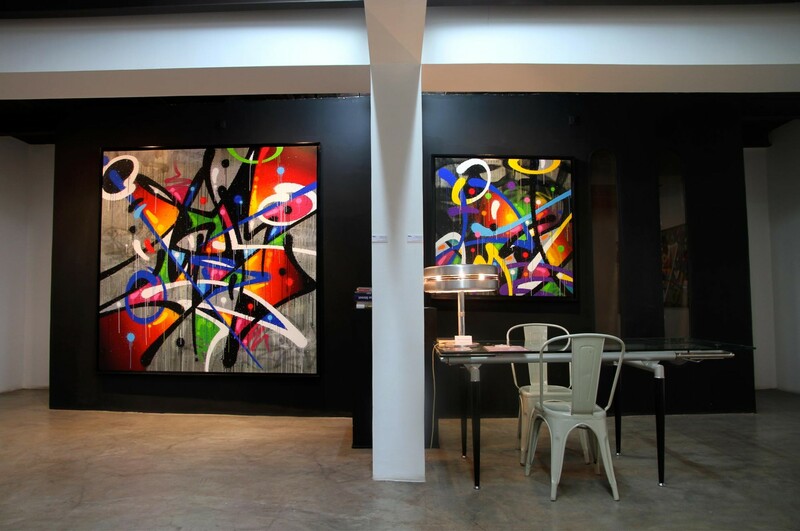 Contemplating a work of Mist, is loosing ourselves in an abstract composition with a hypnotic power in combining urban and contemporary art. 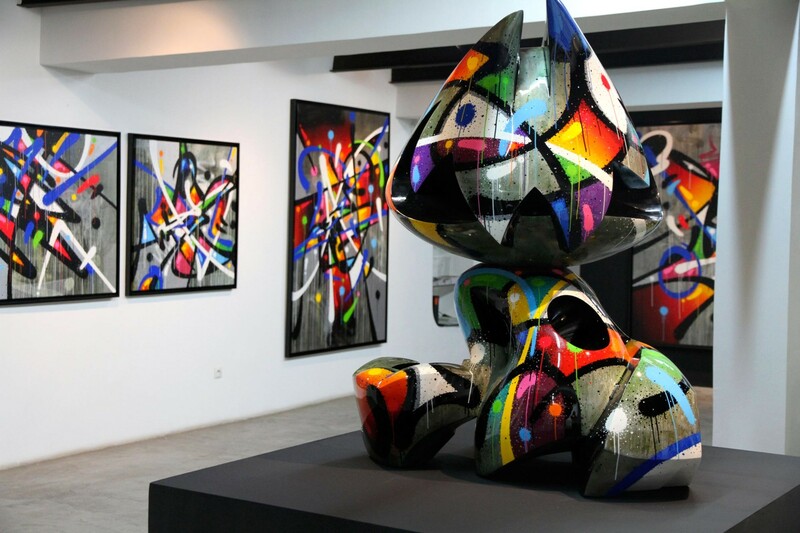 Consecrated in numerous exhibitions – including the very remarkable latest one at Galerie Le Feuvre in November 2011 in Paris, and in several books, Mist will soon present at David Bloch Gallery in Marrakech a dozen of new works on canvas, new sculptures and an in-situ installation as great as his talent: immense.